MICROSITE REDESIGN An environmental consulting firm wanted to redesign their microsite for a group of specialty technologies. The microsite is branded separately from the main company, having its own identity, URL, etc, but it's clearly connected to the main company. The site incorporates a character, Max, as an ambassador or guide on each page. 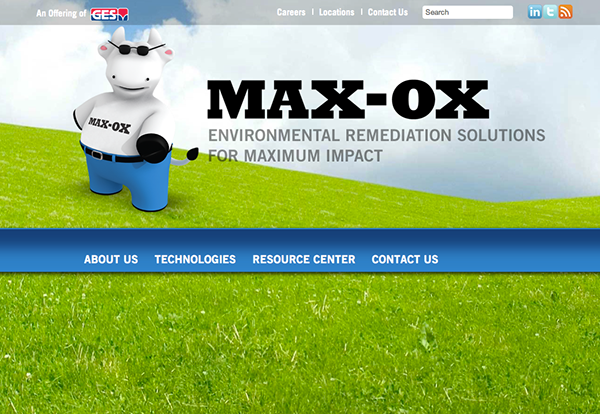 Max has been a successful part of previous marketing efforts so he is a large part of this site. 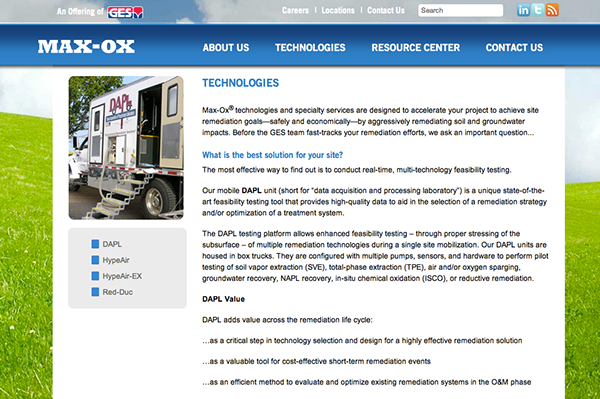 Visit the live site: www.max-ox.com.